Women with transvaginal mesh implants have been exposed to harm because of failings in regulation, experts have said. Led by professor Carl Heneghan, a team from the University of Oxford examined the regulatory approval process in the US for the devices. Transvaginal mesh implants were initially class II devices in the US, allowing new products to be approved on the basis of equivalence to existing products. The FDA changed the regulations in 2016, categorising mesh devices that treat transvaginal repair as class III medical devices and making it a requirement for manufacturers to submit a premarket approval (PMA) application. The team looked at marketing clearance for 61 mesh devices and found that at the time of approval there was no evidence of clinical trial data. However, regulators should have been alerted to “important differences in the technological characteristics of the mesh that should have negated the use of equivalence” the team said. The experts give the example of a mesh device that was still being used for the basis of equivalence despite it being removed from the market. A high number of litigation cases have occurred across the world, with over 100,000 women suing device manufacturers such Johnson & Johnson. Heneghan’s team states that the number of litigation cases outweighs post-market reports of harm by the FDA by 25 times, suggesting a lack of reporting to regulatory bodies. The lack of long-term clinical data has also impacted any assessment into the efficacy of mesh products. 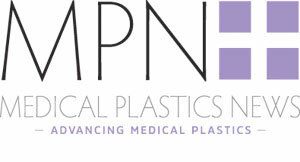 The team highlights that since 2005, the Medicines and Healthcare Products Regulatory Agency (MHRA) has received 110 reports of adverse events regarding vaginal mesh implants. However, the MHRA concluded that the benefits outweigh the risks and that “there appears to be no evidence that vaginal mesh implants are unsafe”. The experts think that implantable devices should be evaluated in studies at least every five years if they are to be considered safe and effective. To ensure data is available before full marketing authorisation, Heneghan and his team believe that clinical trials should be offered temporary licences to mesh implants. Finally, the team recommends that implantable devices should be put on a patient registry so that long-term follow-ups and surveillance can occur. The registry should include unique device identification so shortcomings can be tracked, the use of the devices monitored and patients at risk can be more easily identified. The report follows news that the health watchdog NICE is to recommend a ban on vaginal mesh implants. Calls to ban the devices were rejected earlier this year by the Parliamentary Under-Secretary of State for Health, Jackie Doyle-Price, who said that issues were with clinical practice instead of being solely related to the devices.